June 27th 2014 saw another year come full circle. My two year old turned 3. 3 years has come around so quickly, pregnancy is now just a fading memory, those sleepless nights are so far behind me now that I don't even remember what that kind of tiredness feels like. The toddler days are fading away and I have a fully fledged pre-schooler on my hands. 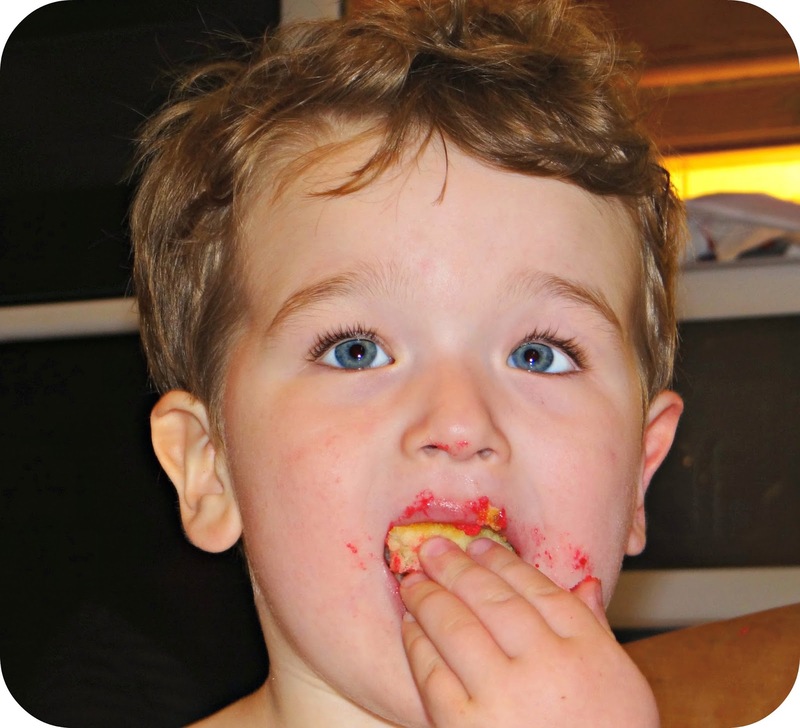 Leo, my little Leo...Is THREE years OLD! This year was the first year that Leo understood what was going on. He was so excited on the run up to his big day, and the night before he was so excited it took me an age to finally get him down to bed. The excitement in turn woke him up much earlier than usual, and he ran out of his room only to come face to face with one of his birthday balloons. By 8am we were awake and staring out at the bleak rainy weather that had descended upon Leo's birthday. The rain didn't dampen our spirits and I quickly went ahead of Leo so I could see his face as he walked into the living room and saw his birthday surprise! 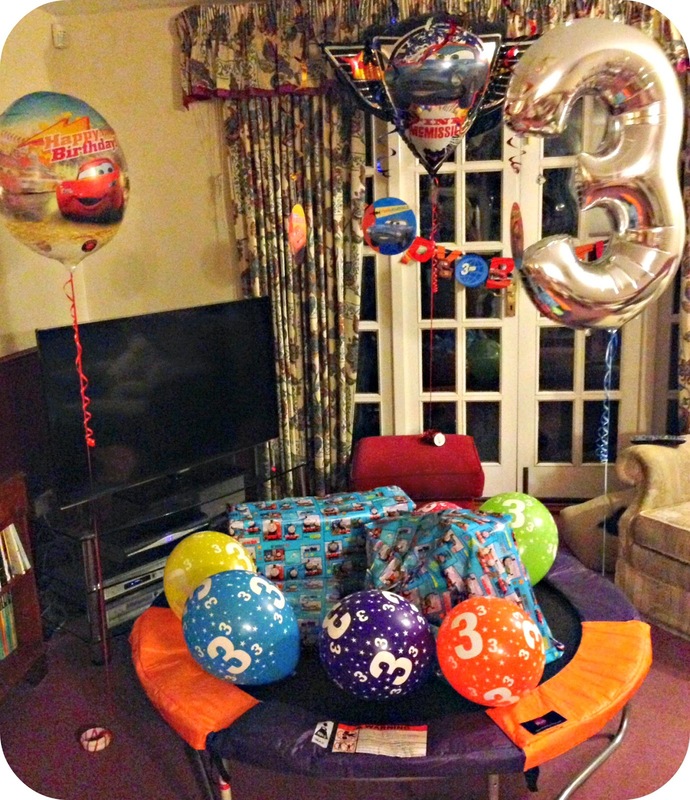 Leo walked in and looked around, and was instantly drawn towards the decoration and of course his birthday gifts. 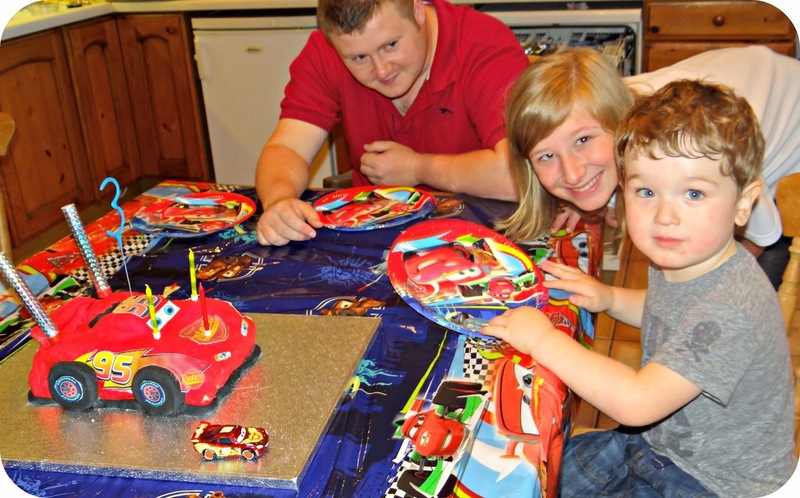 His little face was swept away and it was apparent to see just how excited he was, the birthday magic was in full swing. 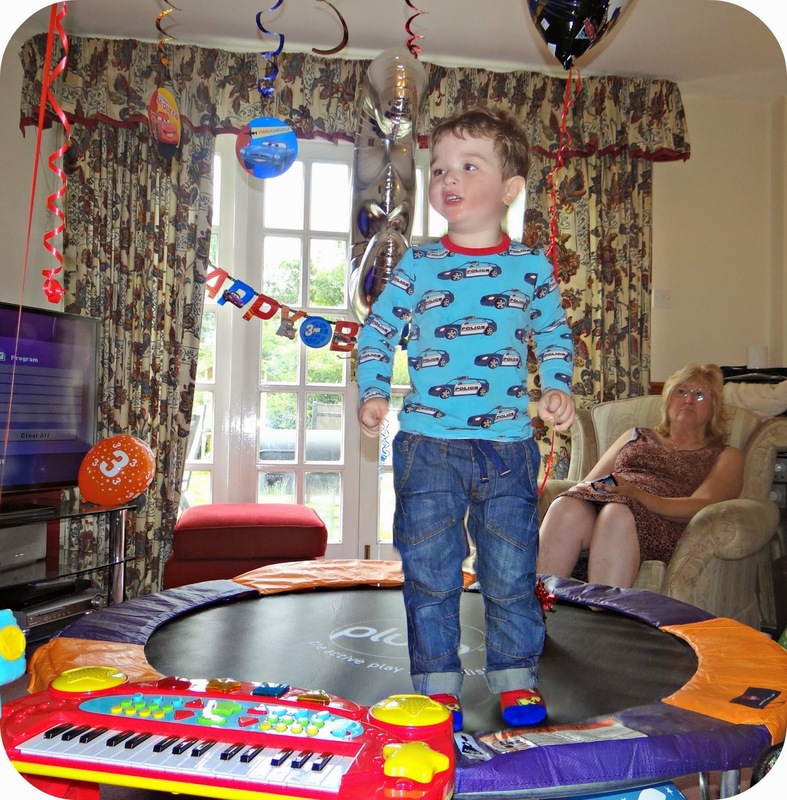 The lounge had been decorated in keeping with Leo's chosen Disney Cars theme, and his gifts had all been placed on his new trampoline. 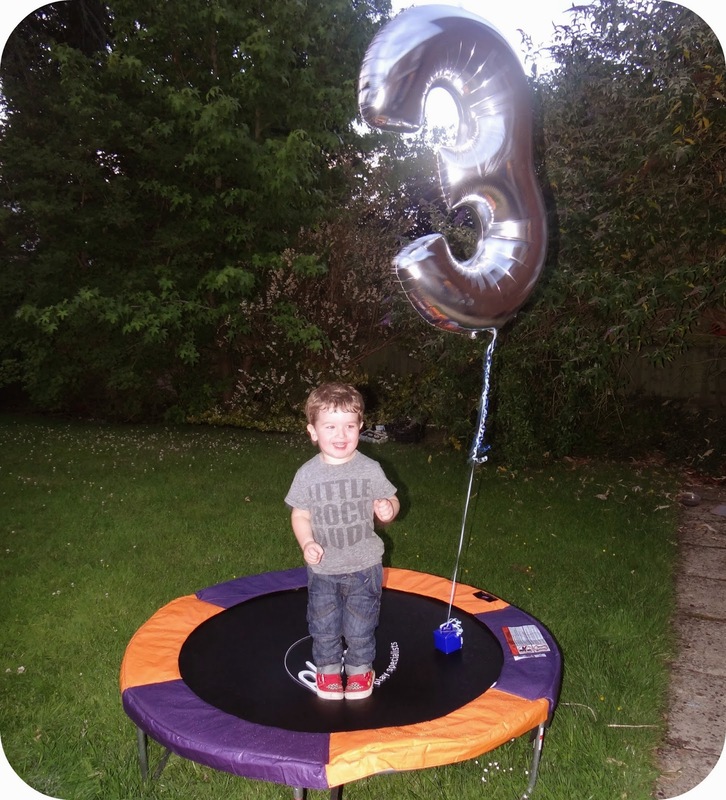 In the excitement of everything, Leo didn't even notice the trampoline and focused his attention on the gifts. Pulling this off certainly makes me think I could succeed in event management! Present opening continued and Leo's excitement continued to grow. Very soon it was time for Leo to go to nursery for the afternoon, but being his birthday I stocked up on fairy cakes and took in treats for the entire group. 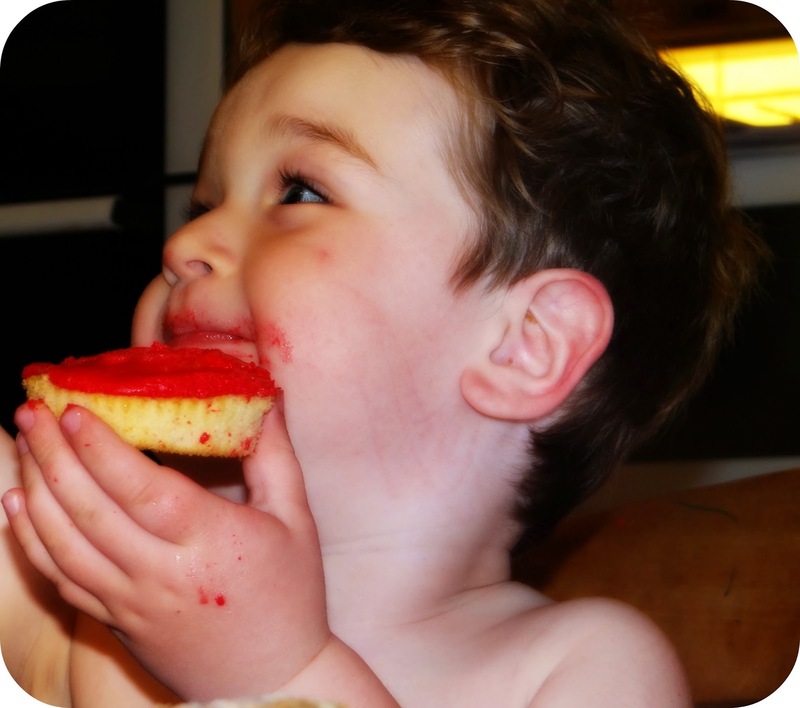 Leo was one popular little man that afternoon, and he even helped the nursery staff hand out the cakes.. Or at least he tried. The temptation of cake was just too much and Leo sunk his teeth into one at each and every opportunity, much to everyone's amusement of course! 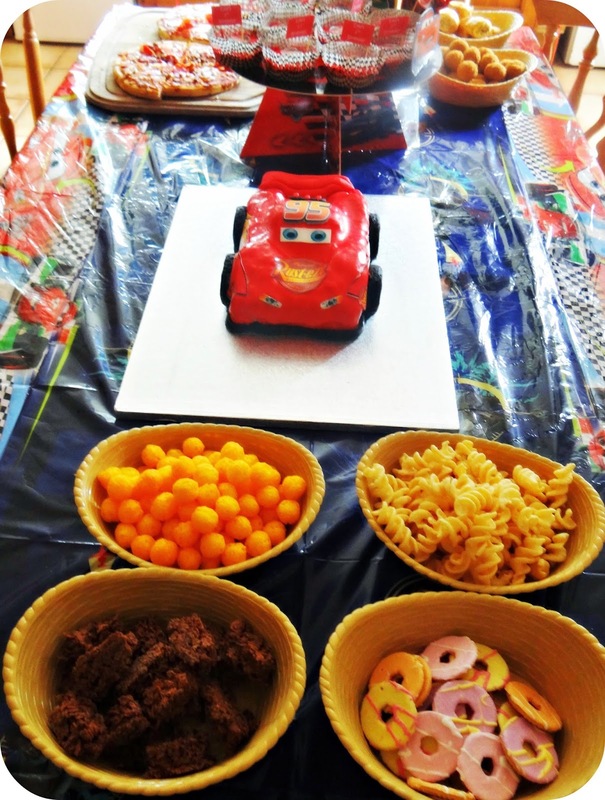 While little man was away at nursery I put together his birthday dinner, and of course laid out the Lightning McQueen cake that I personally cooked up for my beautiful 3 year old. 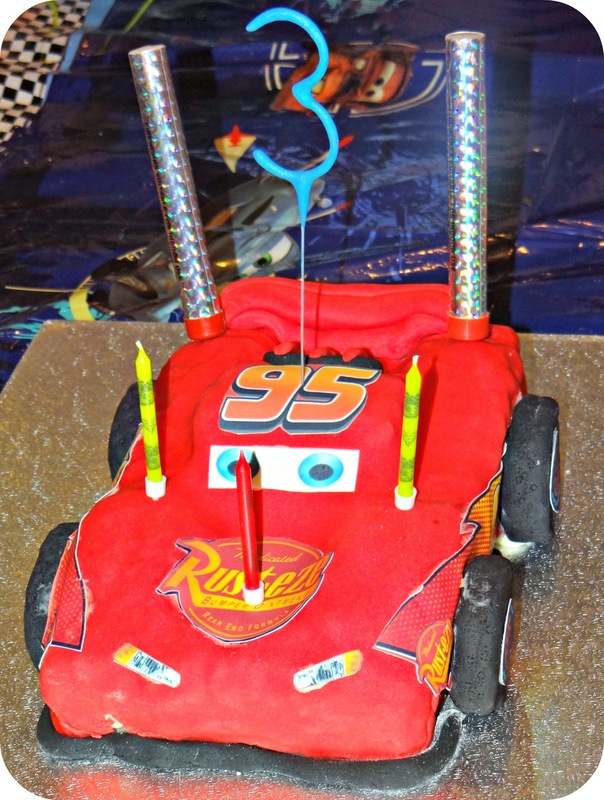 The Lightning McQueen cake had been discussed months and months in advance, and this was all Leo ever really wanted for his birthday. 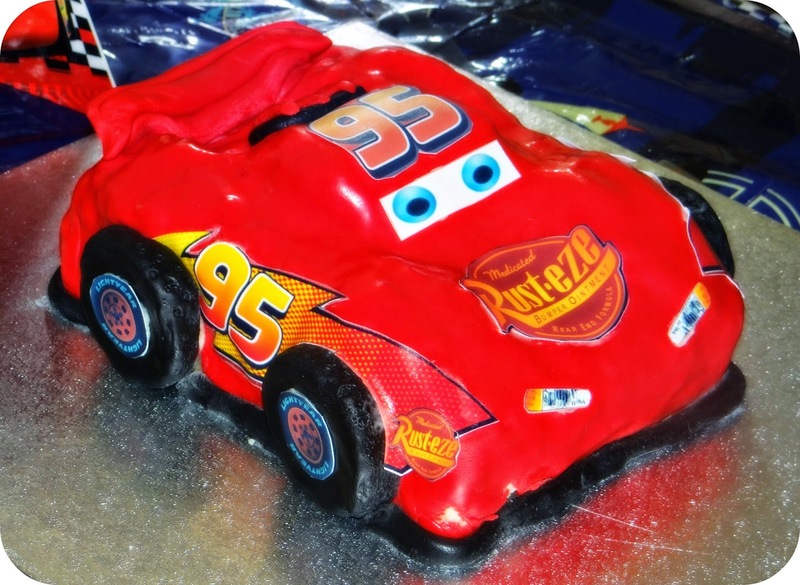 I have to admit that I was more than a little pleased with how this cake turned out, and Leo was so excited when he saw it. 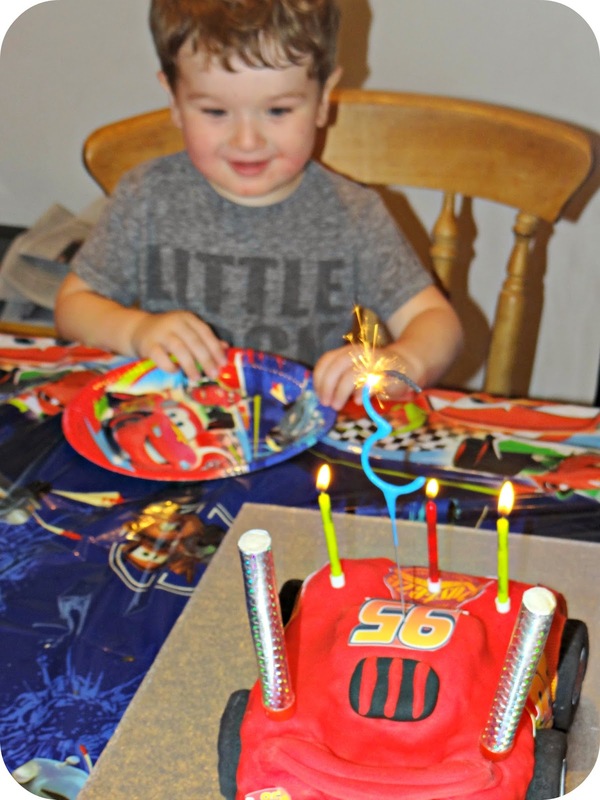 Of course no Lightning McQueen cake would be complete without candles and cake sparklers, so when the time came to sing that beautiful little boy of mine 'Happy Birthday', I was surprised the whole cake didn't take off. In true Leo style though I had already been given my orders and told 'No sing Mummy! ', but secretly I think he relished every second being center of attention. 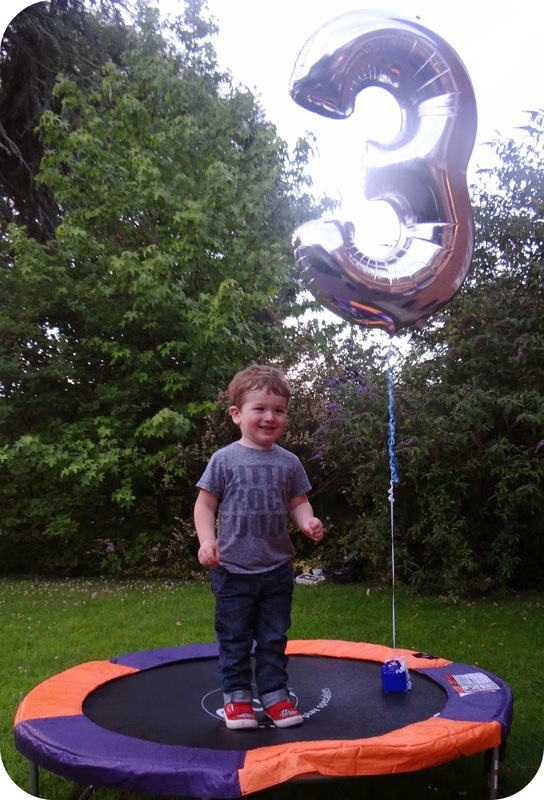 The rest of the afternoon was spent watching Leo enjoying his birthday gifts, the rain subsided and he even got to take the trampoline outside to have a bounce. 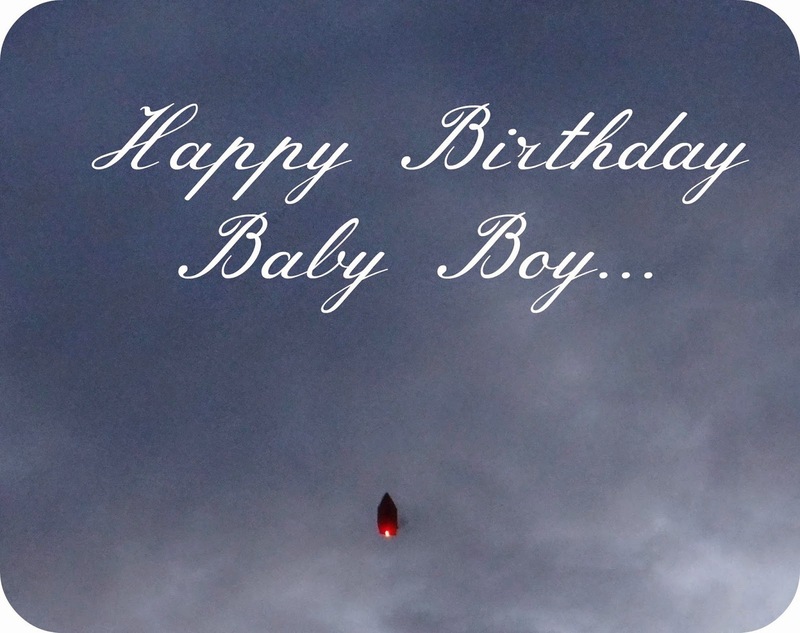 After Leo's birthday dinner we decided to let off a sky lantern, and Leo was super impressed. I asked him if he thought that it would fly and he decided that it wouldn't. When it did that cheeky smile of his grew wider and his eyes were wide like saucers. 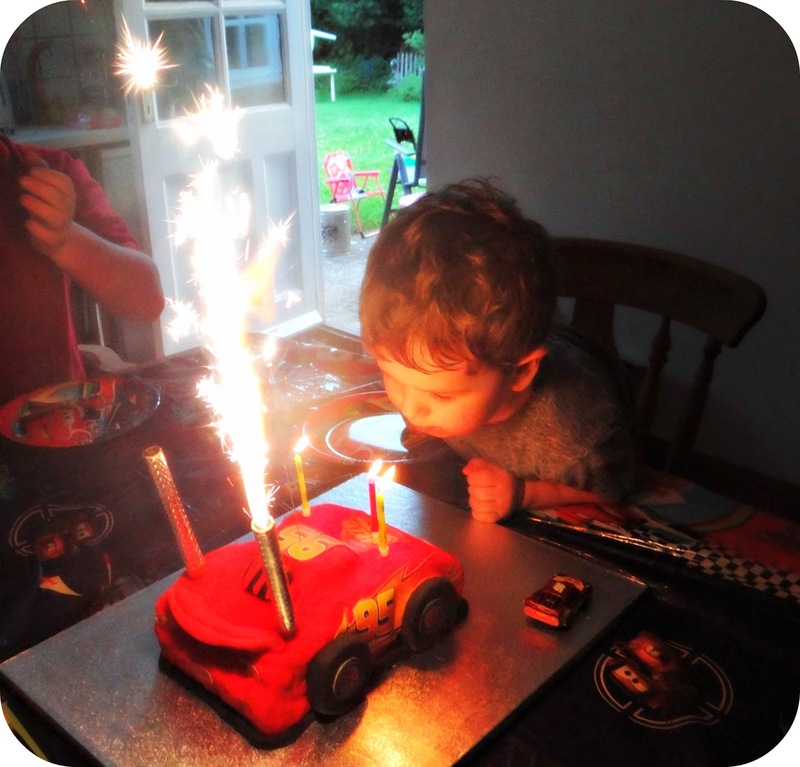 Friday 27th June 2014 was Leo's Third Birthday, he had an absolutely fantastic day. 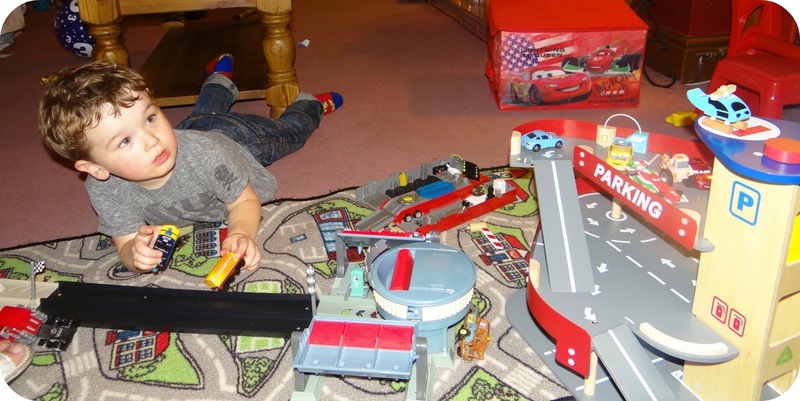 He ate far to much cake, opened many birthday gifts and went to bed much later than normal. But he had the most amazing day, and we definitely marked it in style. Somehow 3 years has come around so quickly and we have grown so much together, and having Leo around has enriched my life in so many ways. I wouldn't change a single moment, and I cannot wait to see what the next year has in store for us. 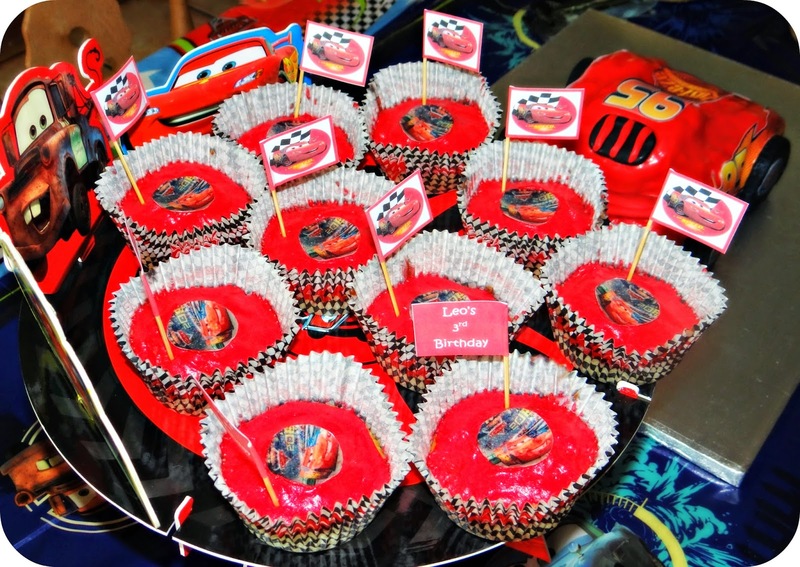 All of Leo's birthday decorations are from Tiger Feet Party.